Whether you live in Melbourne or are visiting as a foreign tourist, the Royal Botanic Gardens provide a splendid day out for the entire family. It’s open from early in the morning to sunset each and every day of the year apart from Christmas Day as well as New Year’s Day. The visitor centre offers a lot of information regarding tour bookings, wheelchair hire, umbrella hire along with what you can buy as a souvenir from the garden’s shop. A day out at the Royal Botanic Gardens is a wonderful way to see exotic flowers, amazing trees and beautiful shrubs that are sure to take your breath away. If you need any kind of help regarding the best paths to take, where you can get a coffee or a brochure, there are always assistants who are more than happy to point you in the right direction. Don’t worry if you have difficulty in walking as motorised or manual wheelchairs are available to hire along with walkers. Take in the magnificent scenery and the historical buildings where lords and ladies of a past generation used to stroll. You also won’t want to miss the special botany areas where they educate you about the different flora species. If you fancy a meal or a glass of wine while having a fun day out at the Royal Botanic Gardens, there are cafes and restaurants that service delicious cuisine. How about trying a real Devonshire tea or a slice of cake for a delightful afternoon tea session? Indoors, you will find a market-style cafe where light snacks, homemade ice cream and takeaway lunches can be purchased. The Gardens’ gift shop also has many botanically inspired gifts you can purchase with the proceeds going straight to the RBG Funds. The Children’s Garden is purely for the enjoyment of kids with a water feature to paddle in, a vegetable garden to explore and even a fascinating bamboo tunnel to play hide and seek in. With so many child-friendly features, it’s no wonder why families love to organise day trips here. 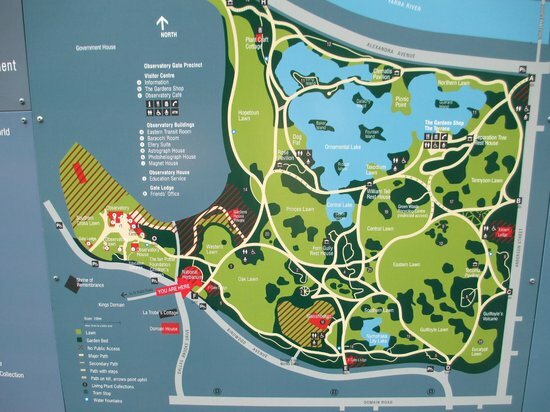 Visit the Royal Botanic Gardens Today! A knowledgeable guide can show you around the gardens, answering any questions you may have about the flora and fauna. You could learn a lot if you’re interested in plant life. Special events are often held, such as dance schools, art workshops and music festivals so there’s plenty of entertainment for visitors of all ages. These beautiful gardens lead the field in botany and are also a centre of excellence for science, education and horticulture. If you want to organise a day trip for your family here, you can book minibus hire in Melbourne so that your loved ones can travel in absolute style and comfort to and fro the Royal Botanic Gardens!